We are delighted to announce we have landed a fantastic new sponsor for the 2019 Leicester Curry Awards in the shape of Mattioli Woods. One of the UK’s leading providers of wealth management and employee benefits, the nationwide business is the fifth sponsor of our prestigious awards. Founded in Leicester in 1991 by Ian Mattioli and Bob Woods, Mattioli Woods has grown rapidly and successfully ever since thanks to a strong network of contacts throughout the UK. Cementing this, the company’s flagship office moved into brand-new £14 million premises just last month in New Walk Place. 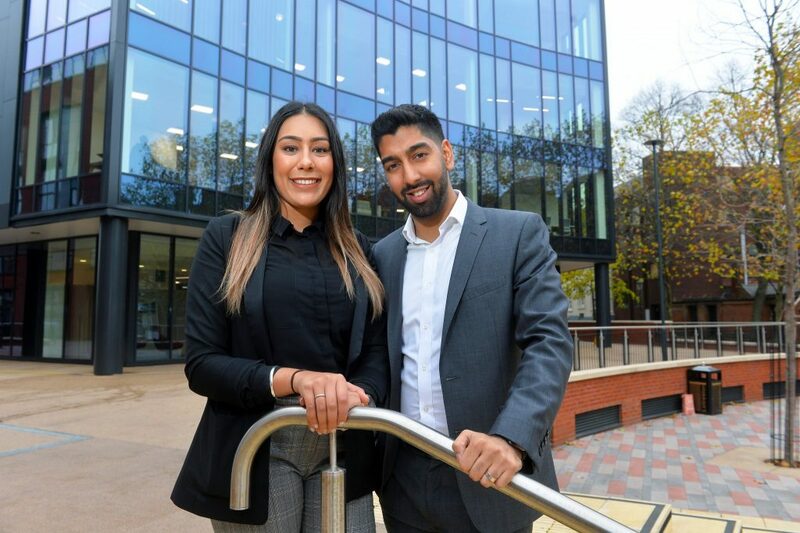 Pictured above: Mattioli Woods wealth management consultants Nimmy Uppal and Amal Mashru. Picture credit: Pukaar News. The awards, now in their third year, recognise excellence across local Indian restaurants and takeaways in both the city and county. The event takes place on 8 April at Athena. Nominations will open on 1 December. For more information on Mattioli Woods, head to their website.